Okay, let’s admit it: there’s something super appealing about health products that let us just sit there (or stand there!) and work their magic without needing us to do much. Unfortunately, we can’t outsmart biology, and many “miracle” products are based on hype and shaky science (if there’s any science at all!). So, we should naturally be skeptical whenever we hear about something that sounds too good (and too easy) to be true. With that in mind, the idea of hanging out in front of a red spectrum light (yes, like a zoo reptile!) and gaining a whole host of health benefits might sound like something from a sci-fi movie. But, the research behind this therapy is shockingly robust, and my own experience matches up with what the science would predict (that is, amazing and extremely noticeable effects!). In particular, using a Joovv light (which we’ll see later in this post, is one of the only home products that achieves the therapeutic effects of red and near-infrared light) has resulted in improved energy, markedly reduced fibromyalgia pain, boosted mood, improved skin, and weight loss. As you can probably imagine, I’m a crazy huge fan! Adapted from Ann Biomed Eng. 2012 Feb; 40(2): 516–533. In the scientific literature, red light therapy is usually called photobiomodulation or sometimes low-level laser therapy (LLLT). Even though these aren’t exactly household terms, this type of therapy has actually been around since the 1960s, when a Hungarian researcher named Endre Mester discovered that shining low-level laser light on shaved mice caused their hair to grow back more quickly (and also stimulated wound healing)! By the 1970s, Mester was using low-level lasers on humans to help treat non-healing skin ulcers. In the decades since then, research on this therapy has grown to include various skin benefits (including wrinkle reduction! 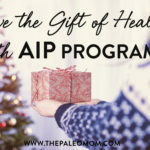 ), weight loss, oral health improvement, arthritis reduction, better sleep quality, a lessening in autoimmune symptoms, and more! So, how does it work? On a super technical level, red light therapy causes a photochemical reaction within our cells. Chromophores (which are responsible for a molecule’s color) in our mitochondria absorb photons from red and infrared light, causing electrons in those chromophores to get excited and jump into a higher-energy orbit. 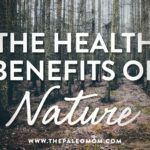 As a result, our body can use this new stored energy for a variety of cellular tasks, which then have wide-ranging benefits for our health. One of the most amazing effects of red light is its ability to increase adenosine triphosphate (ATP) production in the mitochondria, by activating an enzyme called cytochrome c oxidase (Cox) that plays a role in generating ATP synthase (the enzyme that produces ATP). 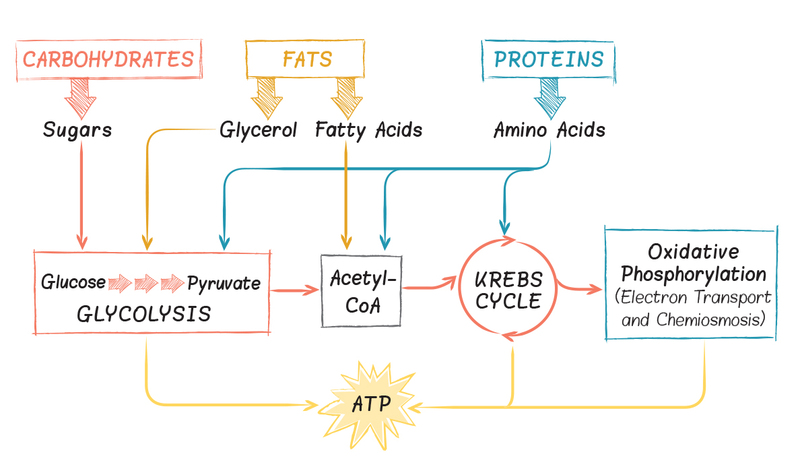 ATP is the major energy currency of our cells, and when red light increases its levels in our tissue, we essentially have more of this currency to use for transporting energy needed for all of the metabolic activities of our cells! As a consequence of this ATP boost, we can experience more rapid healing and muscle recovery (in fact, some research shows that red light therapy can enhance athletic performance by improving recovery and tissue repair!). Research has also demonstrated that red light therapy can help modulate reactive oxygen species (ROS) and induce transcription factors that play a role in protein synthesis, cytokine modulation, cell proliferation, growth factors, tissue oxygenation, and inflammatory mediators. Importantly, immune cells are strongly affected by red light therapy (helping explain why this type of therapy has such major benefits for healing). Mast cells, in particular, degranulate in response to red-spectrum wavelengths (degranulation involves releasing certain molecules, often cytotoxic ones, from the cells’ secretory vesicles). As a result, the pro-inflammatory cytokine TNF-α gets released from cells and leukocytes (white blood cells) are better able to infiltrate the body’s tissues to promote healing. Red light therapy also helps activate lymphocytes and increases the motility of epithelial cells, helping wound sites to close up more quickly. 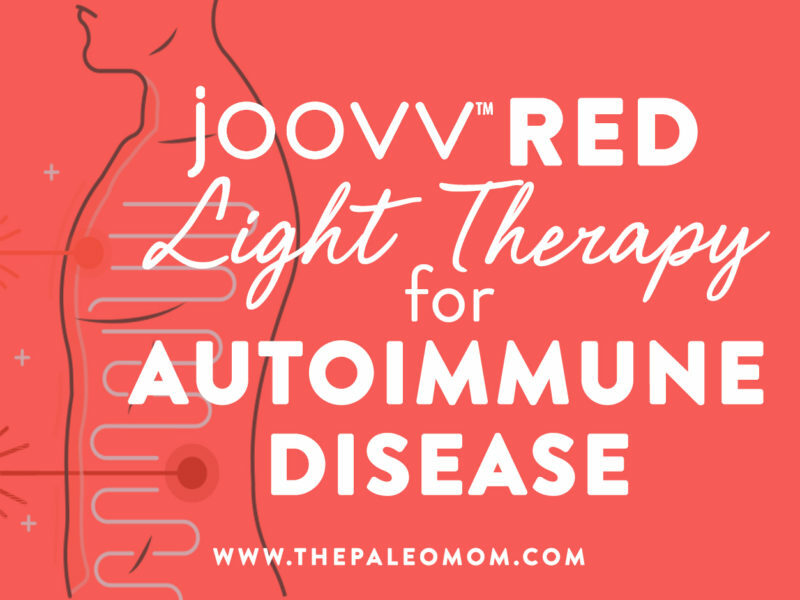 Beyond the ability of red light therapy to improve immune function, there’s clinical trial evidence that red light therapy can improve specific autoimmune conditions. The science is particularly strong for hypothyroidism (most commonly caused by Hashimoto’s thyroiditis) and joint pain (especially caused by rheumatoid arthritis). So, let’s examine the scientific evidence for adding this adjunct therapy to our lives! As early as the 1990s, red light therapy was introduced as an alternative to more invasive treatments for rheumatoid arthritis. The mechanisms? The pain- and stiffness-relieving effects of red light therapy are most likely due to its anti-inflammatory effects (in fact, it’s not uncommon for people to feel a reduction in joint pain almost immediately from a red light therapy session! 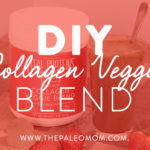 ), and in some cases, due to its ability to stimulate collagen production (by enhancing the production of basic fibroblast growth factor as well as fibroblasts, a type of cell that creates collagen and extracellular matrix). The release of nitric oxide (NO) from cells during light therapy also stimulates vasodilation, which plays a huge role in joint inflammation and arthritis. Pain in the knees, fingers, hands, wrists, shoulders, back, elbows, neck, jaw, ankles, feet, and toes have all been shown to benefit from direct exposure to light from the red or near-infrared spectrum! 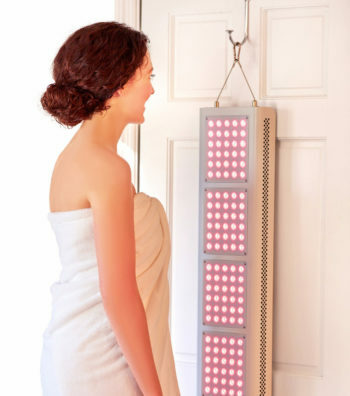 But, just how much relief can red light therapy deliver? A Cochrane Review analyzed five placebo-controlled trials (with a total of 222 patients with rheumatoid arthritis) and found that relative to the control group, low level laser therapy reduced pain by a whopping 70%! That’s a remarkable improvement. And, not only that, but the treatment reduced the duration of morning stiffness by 27.5 minutes, and increased tip to palm flexibility by 1.3 cm. A more recent meta-analysis of 22 trials found that when using appropriate energy doses, and when applied directly to affected areas, low level laser therapy could be a good alternative to NSAIDs in terms of relieving joint pain (with similar effectiveness but without the side effects). A 2017 literature review from Germany concluded that this type of therapy could be an “effective, noninvasive, safe and cost-efficient means” to treat a variety of musculoskeletal conditions, including inflammatory joint disorders like chronic degenerative osteoarthritis and rheumatoid arthritis. Although some clinical trials failed to show an effect of light therapy on joint pain, those trials universally failed to meet the experimental parameters recommended for achieving joint benefits (as we learned earlier, there’s a “sweet spot” for different variables related to red light therapy, and anything falling outside that sweet spot will either have a reduced efficacy or won’t show any improvement at all). Among studies that are well-designed and stay within the correct parameters, the effects of red light therapy are overwhelmingly positive. So, it seems red light therapy could be a serious blessing for those of us with joint disorders. What we’ve learned from existing studies is that applying red light directly on (or near) the arthritic area (or in the case of rheumatoid arthritis, using the light directly over a nearby vein) will help reduce inflammation, increase joint mobility, and reduce stiffness significantly. For anyone who suffers from joint pain (and who knows how much it can interfere with day-to-day life), red light therapy combined with a diet and lifestyle that supports joint health could be the ticket to far greater physical freedom. One of the clinically demonstrated benefits associated with red light therapy is on autoimmune hypothyroidism (also called chronic autoimmune thyroiditis). A 2013 randomized, placebo-controlled trial enrolled 43 adults with chronic autoimmune thyroiditis, all of who had a history of taking levothyroxine (a manufactured form of the thyroid hormone T4, or thyroxine). Those volunteers were then randomly assigned to either a placebo group (where they received 10 sessions of a placebo treatment) or an infrared light therapy group (where they received 10 sessions of low-level laser treatment, using a wavelength of 830 nm and an output power of 50 mW). Thirty days after the treatment sessions were over, the volunteers were taken off levothyroxine and followed for nine months, during which the researchers reintroduced as much levothyroxine as needed in order for the participants to achieve normal levels of T3, T4, free-T4, and thyrotropin. The results? Compared to the placebo group, the light therapy group saw significant reduction in how much levothyroxine they needed to take (and even more impressive, many of the participants in that group didn’t need any more levothyroxine at all to have healthy thyroid markers!). Likewise, autoimmunity (assessed by measuring thyroid peroxidase antibodies (TPOAb)) was significantly lower in the light therapy group. Basically, the near-infrared light therapy caused major improvements in thyroid health! And, that’s not the only study suggesting a major benefit of red light for thyroid disease. This study confirmed what was previously seen in the initial pilot study, which found that all 15 participants who underwent near-infrared light therapy were able to reduce or discontinue their levothyroxine usage during the nine months following treatment (along with having reduced TPOAb levels). Another analysis by the same researchers found a statistically significant increase in TGF-B1 levels among the participants receiving the light treatment, giving evidence for its anti-inflammatory effect. Even more exciting, the larger placebo-controlled study recently completed a long-term follow-up (six years) showing that the thyroid benefits of near-infrared light persisted over time and didn’t come with any safety risks. So, how might red light exert effects on the thyroid gland? Scientists are still investigating the mechanisms, but a few possibilities already exist. Red light has already been proven to act upon various components of the immune system, so it wouldn’t be a stretch to think it could help regulate the dysfunction found in autoimmune diseases. 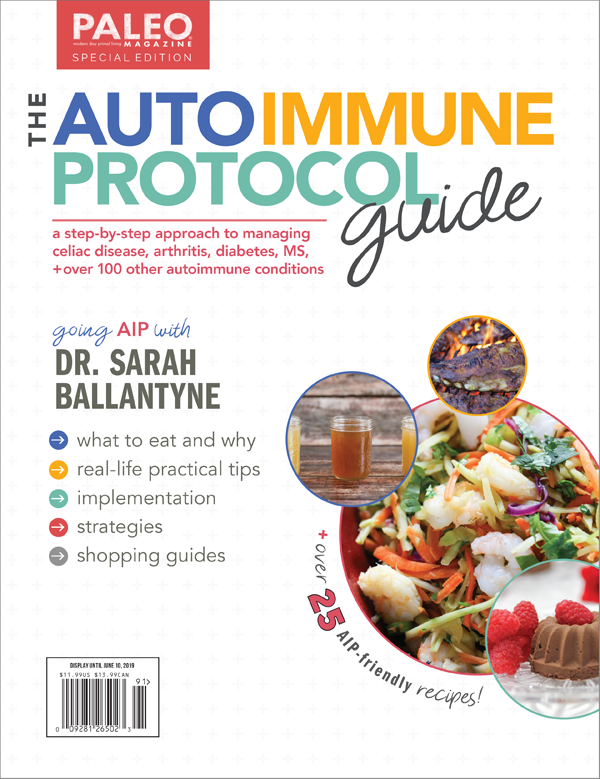 In fact, some researchers suggest that the similar processes involved in autoimmune diseases and inflammatory diseases (aberrant reactions from the innate or adaptive immune systems) offer a clue: since red light therapy has a well-demonstrated benefit for inflammation, the same mechanisms that underlie its effect on inflammatory processes could underlie its effect on autoimmunity. (Likewise, red light therapy may help promote T4 to T3 conversion by reducing levels of the stress hormone cortisol, which inhibits this conversion and can lower thyroid hormone production by decreasing TSH.) Red light also has the ability to regenerate tissues, and in animals, has been shown to improve microcirculation in the thyroid and raise T3 and T4 levels—all of which could help explain the similar effects we see in humans. Also, because certain red and near-infrared light wavelengths increase ATP production in the mitochondria (see above), improved local energy availability may play a role in helping the thyroid gland produce more natural thyroid hormone. For people with hypothyroidism resulting from chronic autoimmune thyroiditis, the effects of red light therapy are extremely good news! Typically, people who develop this condition are told they’ll have to be on medication for the rest of their lives. The fact that red light therapy not only reduces the dose of thyroid medication people need, but in many cases (47% of the participants in the existing studies!) lets them go off medication entirely, shows the tremendous therapeutic potential of these special light wavelengths. If you suffer from autoimmune hypothyroidism, red light therapy is something to seriously consider. Also important, if the light being used doesn’t have enough irradiance (or the time it’s applied for is too short), there won’t be any therapeutic response; if the light being used has too much irradiance (or the time it’s applied for is too long), the therapeutic response will likewise diminish. In other words, dialing all these factors to the sweet spot is pretty critical! So, it’s not a surprise that some research on red light therapy has had mixed results: treatment methods can vary considerably between trials, and any study that doesn’t use the correct dosage or light wavelength would be expected to turn up empty handed! Here’s where Joovv comes to the rescue. Currently, Joovv is the main consumer product on the market that optimizes all the variables needed to hit that therapeutic window. 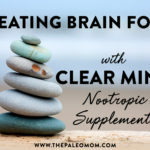 Many other products out there use dosages and power outputs that are too low to achieve benefits, don’t use the right wavelengths, or don’t target large enough areas of our bodies (or better yet, target our entire body!). What I love about Joovv is that it delivers clinical benefits by using a high power output (research shows benefits start coming when we receive at least 4-6 Joules/cm2 of energy from red lights, and Joovv products can deliver this level in a matter of minutes! ), and by using scientifically proven wavelengths (660 nm, 850 nm, or a combination of both—with 660 nm having greater benefits for the skin, and 850 nm having greater benefits for deep tissue healing). This ensures Joovv’s products offer the same therapeutic value seen in red light therapy research and with professional red light therapy treatments, making these lights an amazing investment. Plus, it simply hangs on a door! I personally have been blown away by the benefits I’ve experienced using my Joovv for twenty minutes most days (ten minutes facing it and ten minutes with my back to it–I have the Joovv Combo Max ). I notice an immediate boost in mood and energy that lasts most of the day. If I have fibromyalgia pain (which correlates with stress for me) or muscle pain from CrossFit, a session on the Joovv can make a big difference. My skin has improved noticeably, including tone, fine lines, stretch marks, and spider veins. And, since I started using my Joovv, I’ve lost weight that my body seemed to be resistant to losing. (Full disclosure: I did change a couple other things at the same time, so the weight loss effect might not be entirely attributable to Joovv; but I will cover how Joovv can spur weight loss in an upcoming post.) Of course, don’t just take my word for it. One of the best things about red light therapy is that the research speaks for itself. Abergel RP, et al. “Biostimulation of wound healing by lasers: experimental approaches in animal models and in fibroblast cultures.” J Dermatol Surg Oncol. 1987 Feb;13(2):127-33. Baltzer AWA, et al. “[Low level laser therapy : A narrative literature review on the efficacy in the treatment of rheumatic orthopaedic conditions].” Z Rheumatol. 2017 Nov;76(9):806-812. doi: 10.1007/s00393-017-0309-1. Brosseau L, et al. “Low level laser therapy (Classes I, II and III) for treating rheumatoid arthritis.” Cochrane Database Syst Rev. 2000;(2):CD002049. Chen AC, et al. “Low-level laser therapy activates NF-kB via generation of reactive oxygen species in mouse embryonic fibroblasts.” PLoS One. 2011;6(7):e22453. doi: 10.1371/journal.pone.0022453. Epub 2011 Jul 21. Chung H, et al. “The nuts and bolts of low-level laser (light) therapy.” Ann Biomed Eng. 2012 Feb;40(2):516-33. doi: 10.1007/s10439-011-0454-7. Epub 2011 Nov 2.
el Sayed SO & Dyson M. “Effect of laser pulse repetition rate and pulse duration on mast cell number and degranulation.” Lasers Surg Med. 1996;19(4):433-7. Gale GD, et al. “Infrared therapy for chronic low back pain: A randomized, controlled trial.” Pain Res Manag. 2006 Autumn; 11(3): 193–196. Hamblin MR. “Mechanisms and applications of the anti-inflammatory effects of photobiomodulation.” AIMS Biophys. 2017; 4(3): 337–361. Höfling DB, et al. “Assessment of the Effects of Low-Level Laser Therapy on the Thyroid Vascularization of Patients with Autoimmune Hypothyroidism by Color Doppler Ultrasound.” ISRN Endocrinol. 2012; 2012:126720. Höfling DB, et al. “Low-level laser in the treatment of patients with hypothyroidism induced by chronic autoimmune thyroiditis: a randomized, placebo-controlled clinical trial.” Lasers Med Sci. 2013 May;28(3):743-53. doi: 10.1007/s10103-012-1129-9. Epub 2012 Jun 21. Höfling DB, et al. “Low-level laser therapy in chronic autoimmune thyroiditis: a pilot study.” Lasers Surg Med. 2010 Aug;42(6):589-96. doi: 10.1002/lsm.20941. Höfling DB, et al. “Effects of low-level laser therapy on the serum TGF-beta1 concentrations in individuals with autoimmune thyroiditis.” Photomed Laser Surg. 2014;32:444–449. Höfling DB, et al. “Long-term follow-up of patients with hypothyroidism induced by autoimmune thyroiditis submitted to low-level laser therapy.” Lasers Surg Med. 2017;49:36. Huang YY, et al. “Biphasic dose response in low level light therapy – an update.” Dose Response. 2011;9(4):602-18. doi: 10.2203/dose-response.11-009.Hamblin. Epub 2011 Sep 2. Jang H & Lee H. “Meta-analysis of pain relief effects by laser irradiation on joint areas.” Photomed Laser Surg. 2012 Aug;30(8):405-17. doi: 10.1089/pho.2012.3240. Epub 2012 Jun 29. Karu T & Kolyakov SF. “Exact action spectra for cellular responses relevant to phototherapy.” Photomed Laser Surg. 2005 Aug;23(4):355-61. Karu T, et al. 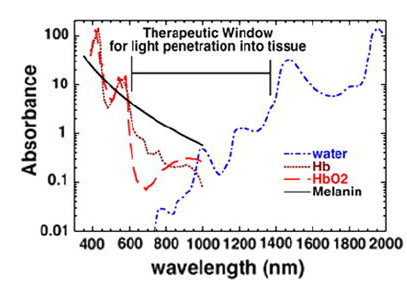 “Irradiation with He-Ne laser increases ATP level in cells cultivated in vitro.” J Photochem Photobiol B. 1995 Mar;27(3):219-23. Karu T. “Primary and secondary mechanisms of action of visible to near-IR radiation on cells.” J Photochem Photobiol B. 1999 Mar;49(1):1-17. Pereira AN, et al. “Effect of low-power laser irradiation on cell growth and procollagen synthesis of cultured fibroblasts.” Lasers Surg Med. 2002;31(4):263-7. Walsh LJ, et al. “Human dermal mast cells contain and release tumor necrosis factor alpha, which induces endothelial leukocyte adhesion molecule 1.” Proc Natl Acad Sci U S A. 1991 May 15;88(10):4220-4. Webb C, et al. “Stimulatory effect of 660 nm low level laser energy on hypertrophic scar-derived fibroblasts: possible mechanisms for increase in cell counts.” Lasers Surg Med. 1998;22(5):294-301. Will using red light therapy and uvb light therapy for psoriasis have any negative effects? Not planning to use at the same time but on the same day. The importance of irradiance is mentioned. What is the appropriate level?